RIO DE JANEIRO — In this city that made samba famous with colorful jeweled costumes and live music, the rhythm of samba music pumps through the streets on a nightly basis. RIO DE JANEIRO — With South America’s first Summer Olympics coming to a close in Brazil, the international sports spotlight will shift to Asia for the next two Olympic Games — the 2018 Winter Olympics in South Korea and the 2020 Summer Games in Japan. RIO DE JANEIRO — Amidst the competing professional golfers and the fresh cut grass of the Olympic golf course, two friends from Arizona can be seen in their bright yellow Olympic volunteer outfits. RIO DE JANEIRO - Night is falling over Rio, and under a full moon in a Copacabana park, Omri Breda gathers a group of students for what appears to be singing and dancing. RIO DE JANEIRO — Parque Nacional da Tijuca is the smallest forest out of the 71 national parks in Brazil. It’s also one of the most vital to Rio de Janeiro. RIO DE JANEIRO - Two-thirds of Team USA is made up of rookies. 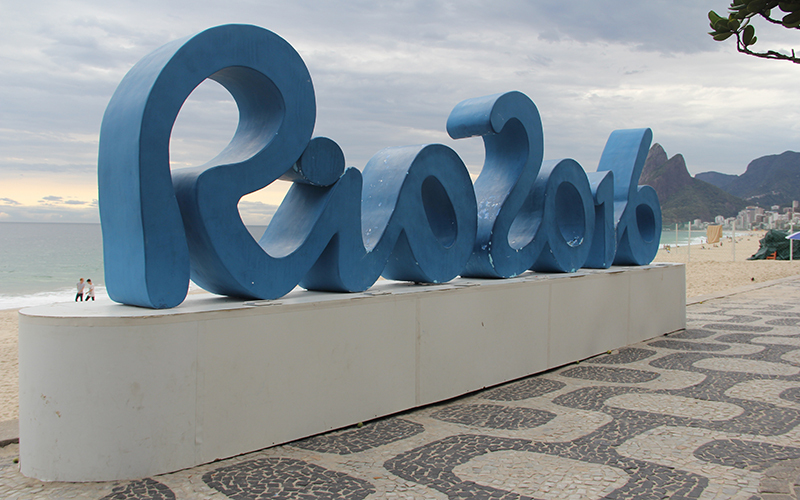 Take a look at some of the best photos taken by Cronkite News reporters on location in Rio de Janeiro covering all things related to the 2016 Olympics and the culture of Rio. RIO DE JANEIRO – Gilbert native Larry Slater didn’t always have a passion for sports photography. It wasn’t until he took a trip to the NCAA wrestling championship in Las Vegas in 2005 that his interest in photography was sparked. RIO DE JANEIRO — Two weeks ago, Sun Devil swimmer Katarina Simonovic glided through the water under a warm Tempe sun at the Mona Plummer Aquatic Complex. RIO DE JANEIRO — Jerry Colangelo stepped off the USA men’s basketball team bus and into the Flamengo Club practice facility a couple blocks off the Atlantic Ocean in Rio de Janeiro. He walked in before any of his hand-selected players. Donning a Team USA jacket and a gold Olympic ring on his right hand, the managing director of USA Basketball stood on the sidelines as the most dominant basketball team in the world practiced its craft.